Please note that EQultrasound treatment must be prescribed by a licensed veterinarian after a full orthopedic and neurological check. 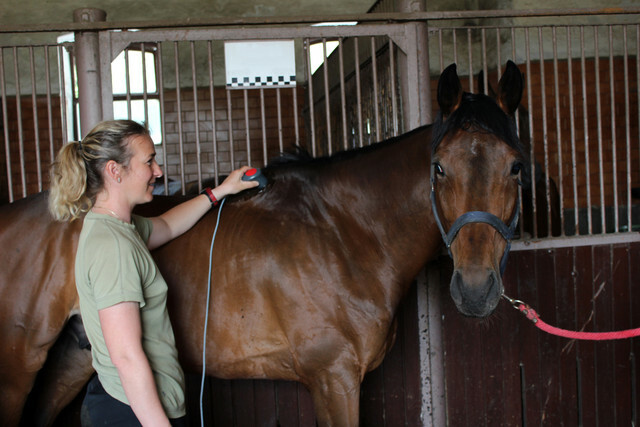 An appropriate EQultrasound treatment plan for rehabilitation and recovery is built upon an accurate diagnosis and detailed understanding of the equine musculoskeletal pathology to treat. Treatment areas should be defined after a proper diagnosis, which can be achieved through palpation, radiography and ultrasonography; also computed tomography (CT), MRI, and nuclear scintigraphy might be beneficial in select pathologies. An accurate diagnosis is important in order to direct ultrasound waves toward the area where they are more needed. Without an accurate diagnosis by a licensed veterinarian about the pathology and areas to treat, the outcomes of the EQultrasound treatment may not be satisfactory. Make sure that the patient does not suffer from any of the conditions reported in our Contraindications page.